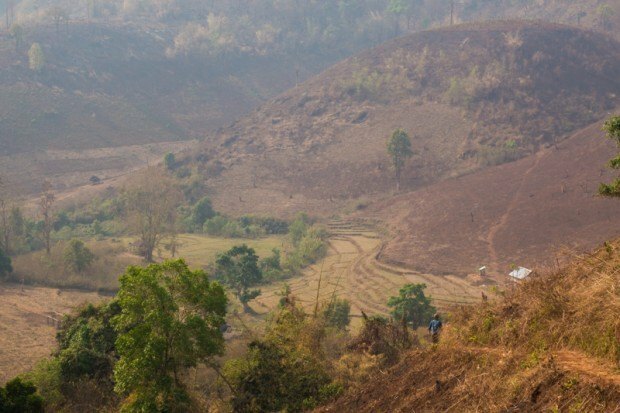 Hsipaw trekking – one of the best experiences to learn about the hill tribes in Myanmar! Green pastures just outside of the Hsipaw township. 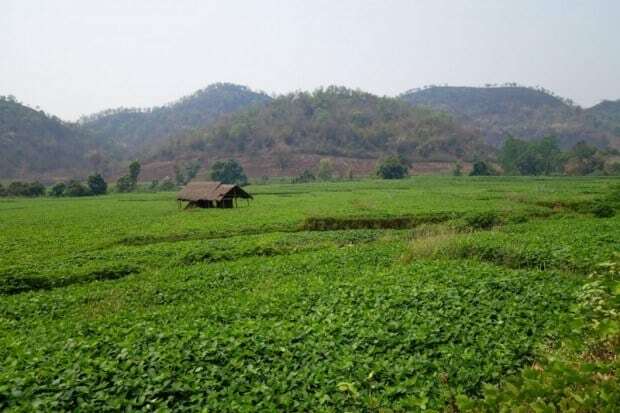 Despite the fact that the town of Hsipaw in the Shan state of Myanmar has become a trekking hotspot, hiking was not on our agenda when we checked into our hostel. The main reason we had travelled to Hsipaw was so we could take the train over the Goteik Viaduct. 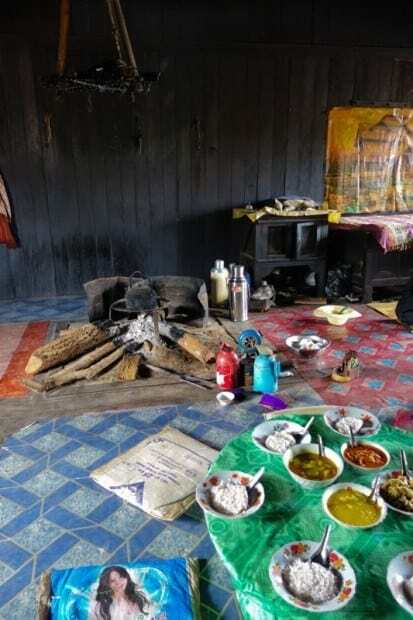 However when we arrived at Yee Shin Guesthouse, the mere suggestion of trekking became our ultimate goal. The friendly staff at Yee Shin had a guide come meet us at 4pm to discuss various options, from half day walks right through to week-long missions. We had a chat with the group that had arrived with us on the train about which direction we wanted to take, and decided that the two day, one night trek was going to be the right choice. After a quick price negotiation, it was all settled and we were to set off the next morning at 8:30am. With just a daypack filled with a change of clothes and drinking water, our comrades and us ventured off from the hostel. We meandered through the quiet streets of Hsipaw for 20 minutes and then detoured off through a field to begin our ascent. We passed through green pastures dotted with friendly farmers and working buffalo. Everyone we neared shot us a grin and called out a warm “min-ga-la-ba” (hello). As we steadily gained altitude the terrain quickly changed to stark, barren landscapes. The heat rose along with the sun and the red dirt was kicked up as dust creating a hazy outlook. Sino, our 23 year old guide, stopped us frequently to bestow on us a wealth of information on the indigenous populations of the area, their agricultural habits and other interesting tidbits of knowledge. He had detailed answers to all our questions and was not shy in warming up to us and cracking jokes. 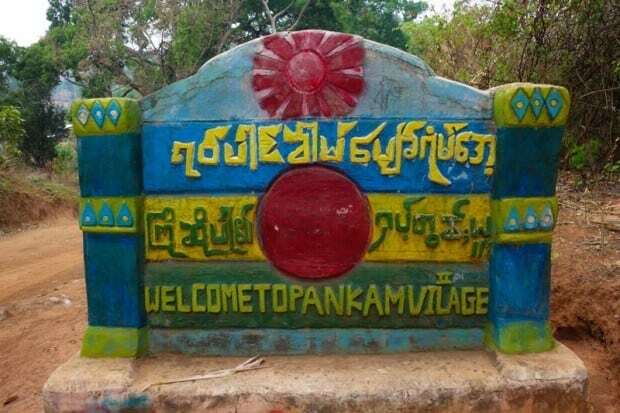 After walking 15km, and stopping for numerous water breaks, we reached the Palau village of Pankam. We headed straight for our home stay to drop our bags off and meet our host. The friendly lady was the mother of the village chief. She welcomed us with fresh green tea and huge serving of delicious, traditional food. Once our stomachs were filled to breaking point, we relaxed for 30 minutes and then wandered off into the town with Sino to do some exploring. The houses in the village were mostly constructed of bamboo and cement. Power was supplied by diesel generators and solar panels. A large water tank in the centre of town was fed by a freshwater spring located further up the hill. Buffalo strolled around freely. By far the most interesting feature of the village was the curious children found loitering in every yard and street. The mere sight of us sent many kids into a frenzy. They jumped around, posed for pictures and giggled at our ill-attempts of speaking their dialect. We joined in on a few of the games they were playing, such as dodgeball and “throw-the-flip-flop”. Whenever we called out goodbye, they would chase us down again and continue playing with us. What was meant to be a short walk around the village turned into an hour long jaunt. As the sun started to set, we returned to our home stay and took a seat out the front. We were entertained by one of our host’s sons, who had arrived at the house extremely intoxicated. The son, and his friend who had joined him, danced and sung merry songs. Inebriation sounds the same in any language! What also is instantly recognisable is the stern tone of a mother scorning her son for coming home so drunk, when they had guests over. We laughed, and then received a glance from the mum which could only be interpreted as, “Stop encouraging him!” Soon enough, the wasted men were steaming tea leaves and helping finish up the days work, trying to act sober. 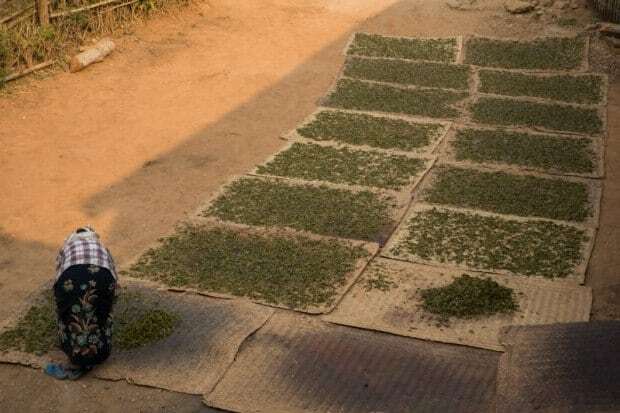 Drying out fresh green tea leaves. Daylight hours gone, we were called inside to enjoy dinner. The amount of food presented to us was daunting! Huge bowls of rice were placed around the edges of the table, the centre filled with an array of interesting dishes. We were worried that we would not be able to finish everything that was offered to us, but one mouthful of the tasty fare had us hooked. Sitting on the floor, we quickly devoured all of the delicious vegetarian food on the table, only to have the entire lot refilled. We were certainly not going to go hungry tonight! The portions were washed down with an unlimited supply of green tea, and soon enough we were sprawled out on the floor, 3kg heavier. The rest of the evening was spent sampling the extra strong, local alcoholic beverage rice wine and conversing with our interesting group and guide. We eventually retired to our warm, comfortable beds when the generators cut out around 10pm. The kitchen and dining room at our homestay. In the morning we were still full from our previous night’s meal. But our host must of thought we were ravenous monsters! Breakfast was just as large as dinner and we struggled to plough our way through the massive portions. Fuelled up for the walk back to Hsipaw, we said our goodbyes to our friendly host and left Pankam. Hiking back to Hsipaw was much less tiresome due to the downward sloping terrain. We took a different route then we had the previous day so we were treated to different scenery. Before we knew it, we were at the edge of town and greeted by a waiting tuk-tuk. The last few kilometres back to Yee Shin Guesthouse were painless and refreshing; cool wind blowing through our hair as our transport sped through town. Sino the guide parted ways with us and we thanked him profusely. He had proven to be a very knowledgable and entertaining guide and ensured that we did not finish the hike with any questions lingering. Even though we didn’t have this trek on our radar, it proved to be one of the better excursions we have undertaken. It’s astounding when unexpected events become memorable experiences. The view over the valley during our hike. Hello! Awesome experience! Could you tell me how much you paid for this trekking per pax? Hi, great post! I’m going to Myanmar in about 2 weeks and want to do this trek as well now! when is the hike done on the second day? around what time? 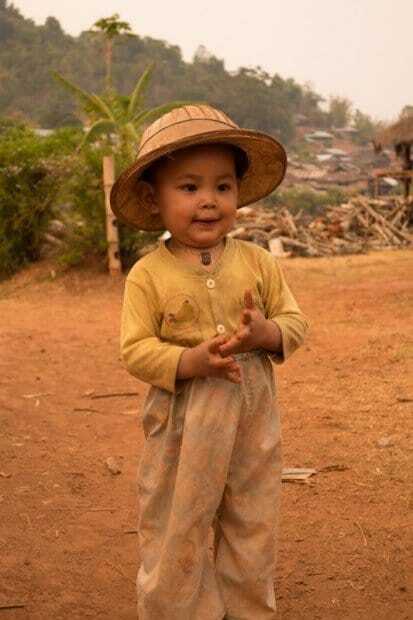 just wondering about how to continue from there to Kalaw\Bagan! thanks a lot! Our hike finished in the afternoon around 5/6pm. Not too sure is there is a night bus or an early morning bus. Hi guys, awesome post! 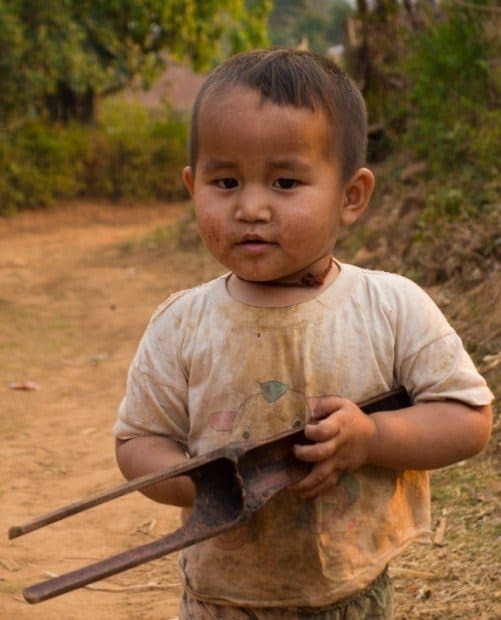 I’m heading to Myanmar in a week and this trek is now on my radar. I wjust wanted to ask you if you booked the trek brought your guesthouse or somewhere else? Hi Bernardo, We booked the trek through the guesthouse we stayed at, Yee Shin Guesthouse. It was a great trek. Have a great time.